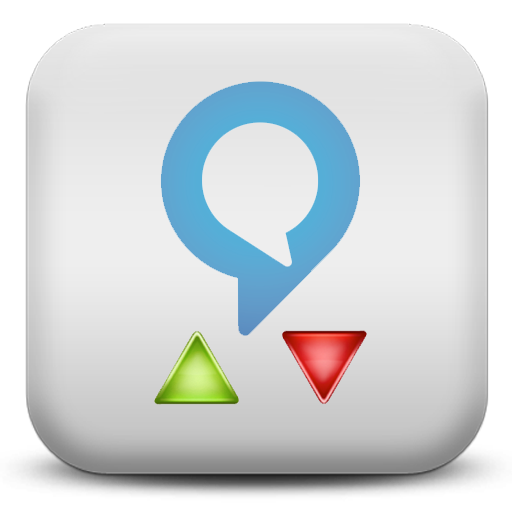 A core function of Alexa is the ability to play on-demand news or information from other skills. With Ask Alexa, you have the ability to define one of your Macro Groups or Voice Report Macros as part of your 'Flash Briefings' from Alexa. These flash briefings are activated simply by saying "Alexa, flash briefings". Please note there is no skill name or any other parameters required as this is a native function of Alexa. This may be useful to get a quick summary of your home. And, with the ability to run macro groups, you can actually perform actions upon running the flash report. Flash briefing capabilties are built into the base code of Ask Alexa. There is no additional code to install to use macros. You WILL need to setup and install a new skill, however. These instructions will allow you to do that. 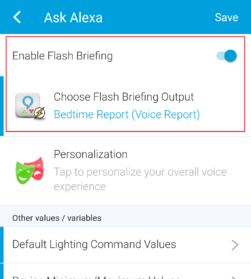 To allow Flash Briefings to be activated, first go to <<Settings>> within your Ask Alexa SmartApp. Enable the section labeled <<Enable Flash Briefing>>. This will expand the interface to allow you to choose ONE type of output (macro group, voice report macro, or Message Queue contents) to utilize as your flash briefing. As mentioned in the section Ask_Alexa_-_Macros#Extension_Group, an extension group will allow multiple extensions to run depending on restrictions. 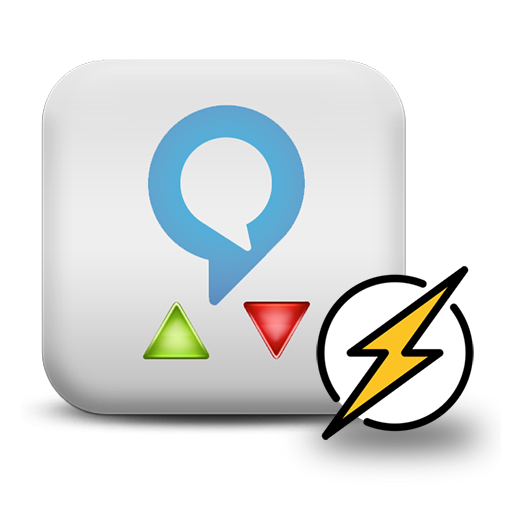 This could mean multiple voice reports that make up your Flash Briefing (such as weather, home report, etc.). 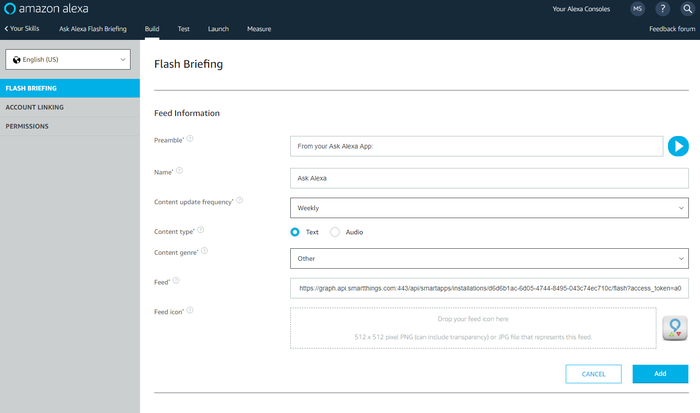 However, you ALSO have the ability to include WebCoRE or Control Macros within the Macro group, allowing the Flash Briefing to actually perform actions on your SmartThings environment when the flash briefing is run. 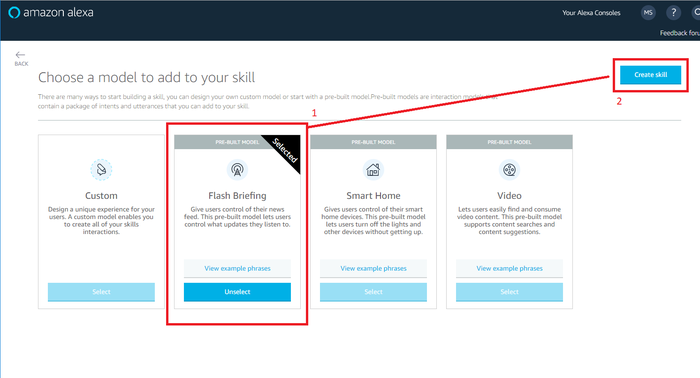 Once you choose the macro you want to use as the output of your Flash Briefing, you will need to set up the Amazon Skill for this function. Please note that you will need the URL that should now be present in the <<Settings>><<Setup Ask Alexa>><<Setup Variables Link>> section. This will only appear when <<Enable Flash Briefing>> is turned on. You will now need to create a new skill on your Amazon developer account. 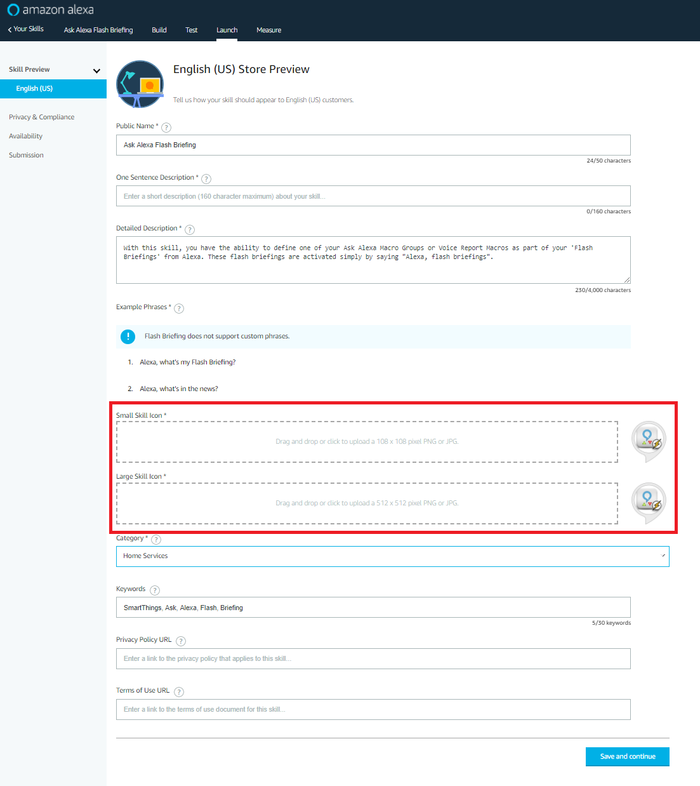 You should have already set up your developer account to get the main Ask Alexa skill created, but the instructions for setting up a developer account are here: Developer Account. 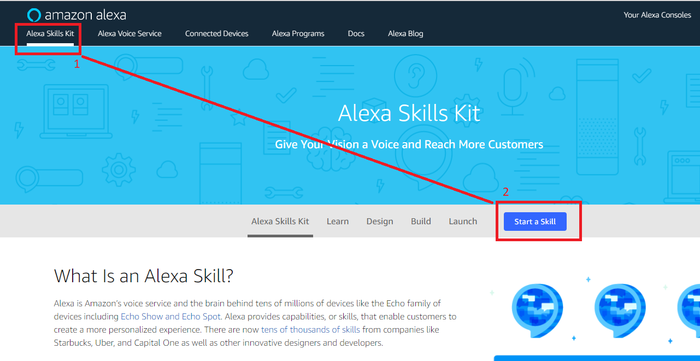 To begin creating your skill, go to https://developer.amazon.com/public/solutions/alexa/alexa-skills-kit and find the area on the right side labeled <<Start a Skill>>. You will be brought to a dashboard of your current skills. Another way to get to this area is to find the <<Alexa>> menu item on most screens within the Amazon Developer web site. Clicking this button will walk you through specific steps of building your new skill. 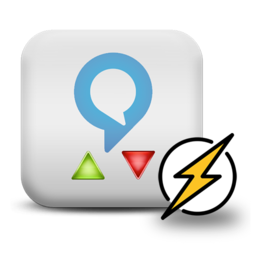 Name the skill something like Ask Alexa Flash Briefing then click <<Next>>. Custom Error Message There was an issue getting the Ask Alexa Flash Briefing. Please try again. Click <<Save and Continue>> at the bottom. Please note that you should stop here with your Flash Briefing. The next steps in the interface are for publishing the app for others to use....something you DON'T want to do unless you want the world to control your home. 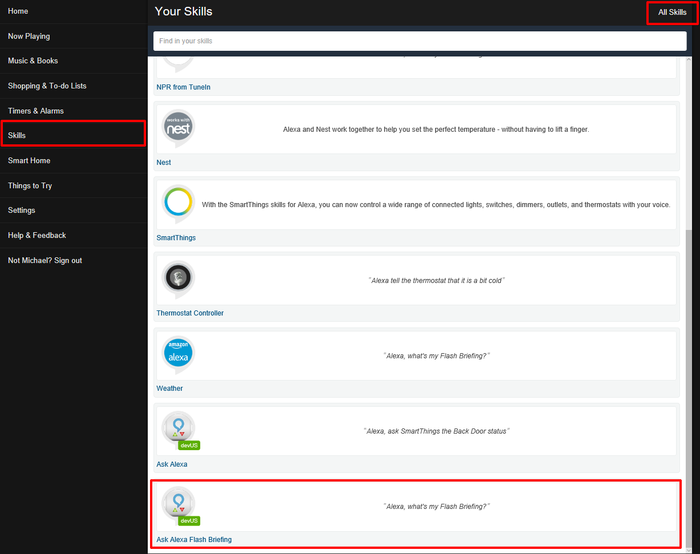 Now that your skill is set up, the final step is to enable it in your Amazon Alexa app (or web page). The final step is to ensure your new skill is enabled within your Alexa app. You may also set this up in your web browser at http://alexa.amazon.com. For clarity, the screen shots below came from the web site and not the app. First, go to the menu item <<Skills>>. Then, narrow down the list by clicking <<Your Skills>>in the upper right corner of the screen. 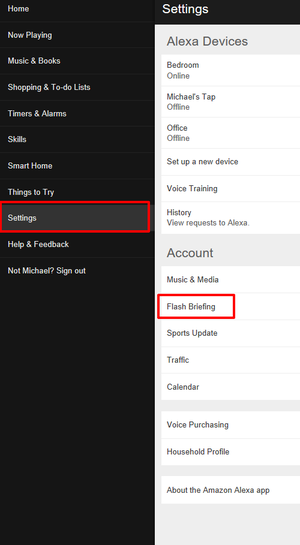 Finally, scrolling down you should find the <<Ask Alexa Flash Briefing>> skill. Click on this and enable the skill. Next, go to the left menu area and choose <<Settings>>. From here, choose <<Flash Briefing>>. Ensure the small slider indicates your Ask Alexa skill is on. You may also choose other briefings on this page to be included with your Ask Alexa briefing. From here you should be able to simply say "Alexa, flash briefing" to get quick access to your Ask Alexa reports. have restrictions based on which speaker is being spoken to. This page was last edited on 29 March 2018, at 21:46.